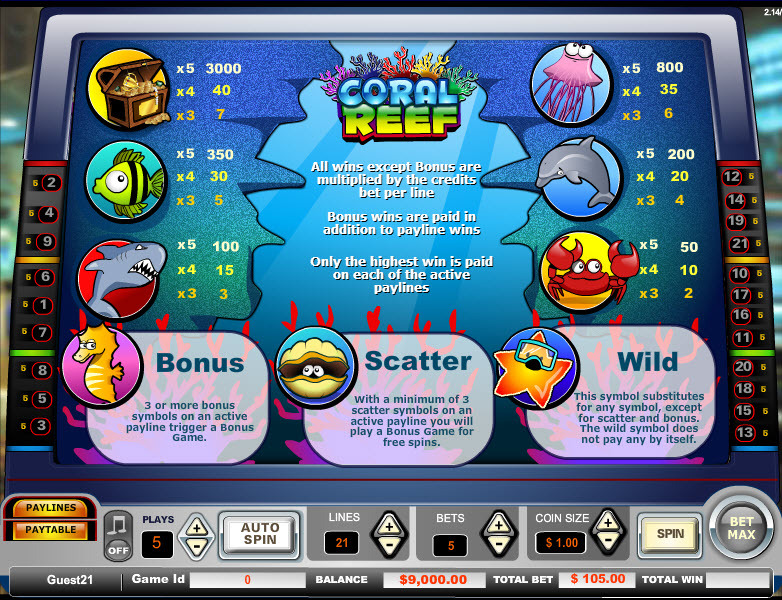 Overview: Jump into the deep blue sea and chase those exotic seahorses off the Coral Reef. Play with 9, 15 and 21 lines and try your luck. 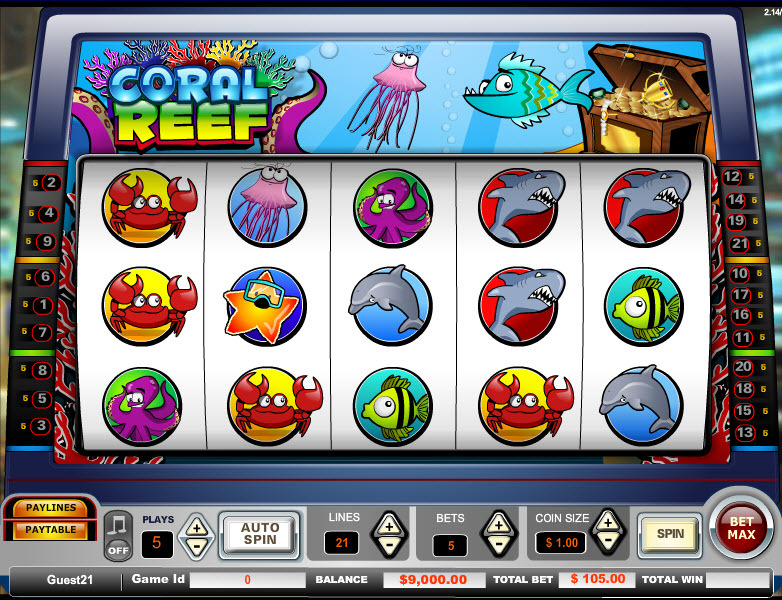 Similar Slots: If you like Coral Reef, you might like these other slot machines from Vistagaming: Black and White, Fire and Ice, Greek Myths, Mystery at the Manor, Reel Wheels, Winds of Arabia.